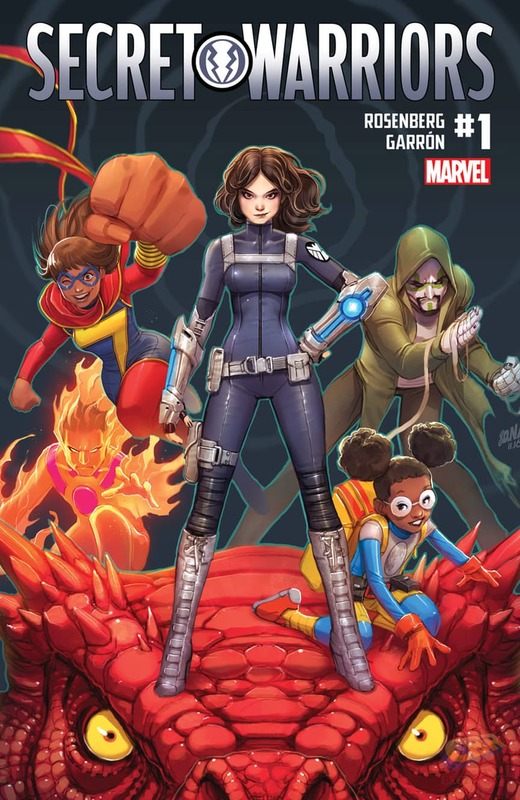 Marvel Announces New Secret Warriors Title – Inferno Fans, Rejoice! You are here: Home / Moon Girl and Devil Dinosaur / Marvel Announces New Secret Warriors Title – Inferno Fans, Rejoice! This morning Marvel announced via CBR another title to come out RessurXion. Secret Warriors, by Matthew Rosenberg (Kingping) and artist Javier Garron (Star Lord). 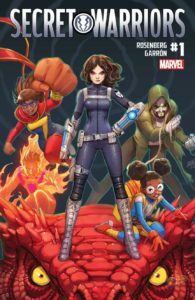 The initial team will be made up of Inhumans Quake (Daisy Johnson), Ms. Marvel, Moon Girl (and Devil Dinosaur of course), Inferno, and Karnak. More non-Inhuman members will be added to the team later. You can read more from Rosenberg in the link above – but if you ask us, this sounds like it’s going to be a book to watch.